"... it is possible by means of purely deductive inferences (with the help of the modus tollens of classical logic) to argue from the truth of singular statements to the falsity of universal statements. Such an argument to the falsity of universal statements is the only strictly deductive kind of inference that proceeds, as it were, in the ‘inductive direction’; that is, from singular to universal statements." "... ‘dictator’, ‘planet’, ‘H2O’ are universal concepts or universal names. ‘Napoleon’, ‘the earth’, ‘the Atlantic’ are singular or individual concepts or names. In these examples individual concepts or names appear to be characterized either by being proper names, or by having to be defined by means of proper names, whilst universal concepts or names can be defined without the use of proper names." De Pierris, Graciela; Friedman, Michael. "Kant and Hume on Causality". In Edward, N. Zalta. 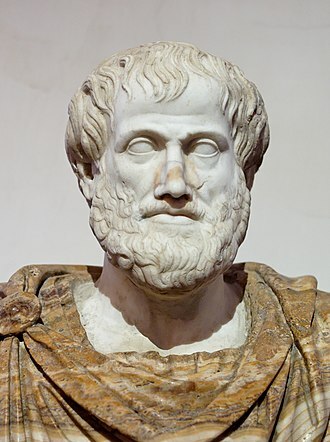 The Stanford Encyclopedia of Philosophy (Winter 2013 ed.). Lakatos, Imre (1978). Worrall, John; Curry, Gregory, eds. The Methodology of Scientific Research Programmes: Volume 1: Philosophical Papers (1980 ed.). Cambridge: Cambridge University Press. ISBN 0-521-28031-1. Popper, Karl (1976). Bartley III, W.W., ed. Unended Quest: An Intellectual Autobiography (2002 ed.). London and New York: Routledge. ISBN 0415285895. Popper, Karl (1982). Bartley III, W.W., ed. Quantum Theory and the Schism in Physics: From the Postscript to the Logic of Scientific Discovery (2013 ed.). Routledge. ISBN 9780203713990. Popper, Karl (1989). "Zwei Bedeutungen von Falsifizierbarkeit [Two meanings of falsifiability]". In Seiffert, H.; Radnitzky, G. Handlexikon der Wissenschaftstheorie [Dictionary of epistemology] (in German) (1992 ed.). München: Deutscher Taschenbuch Verlag. ISBN 3-423-04586-8. Thornton, Stephen (2016) [original publication 1997]. "Karl Popper". In Zalta, Edward N. The Stanford Encyclopedia of Philosophy (Summer 2017 ed.). The black swan is a large waterbird, a species of swan, which breeds mainly in the southeast and southwest regions of Australia. The species was introduced to New Zealand in the 1860s, within Australia they are nomadic, with erratic migration patterns dependent upon climatic conditions. Black swans are large birds with black plumage and red bills. They are monogamous breeders that share incubation duties and cygnet rearing between the sexes, Black swans were introduced to various countries as an ornamental bird in the 1800s, but have escaped and formed stable populations. A small population of black swans exists on the River Thames at Marlow, described scientifically by English naturalist John Latham in 1790, the black swan was formerly placed into a monotypic genus, Chenopis. Black swans can be singly, or in loose companies numbering into the hundreds or even thousands. Black swans are popular birds in zoological gardens and bird collections, Black swans are mostly black-feathered birds, with white flight feathers. The bill is red, with a pale bar and tip. Cobs are slightly larger than pens, with a longer and straighter bill, cygnets are a greyish-brown with pale-edged feathers. A mature black swan measures between 110 and 142 centimetres in length and weighs 3. 7–9 kilograms and its wing span is between 1.6 and 2 metres. The neck is long and curved in an S-shape, the black swan utters a musical and far reaching bugle-like sound, called either on the water or in flight, as well as a range of softer crooning notes. It can whistle, especially when disturbed while breeding and nesting, when swimming, black swans hold their necks arched or erect and often carry their feathers or wings raised in an aggressive display. The black swan is unlike any other Australian bird, although in poor light, the black swan can be distinguished by its much longer neck and slower wing beat. One captive population of swans in Lakeland, Florida has produced a few individuals which are a light mottled grey color instead of black. Willem Hesselsz de Vlamingh was a Dutch sea-captain who explored the central west coast of Australia in the late 17th century. The mission proved fruitless, but Vlamingh charted parts of the western coast. Willem de Vlamingh was born in Oost-Vlieland in the Dutch Republic and he was baptised on 28 November 1640. In 1664 De Vlamingh sailed to Nova Zembla and discovered Jelmerland, in 1668 he married, his profession was skipper in whaling, and he still lived on the island Vlieland. In 1687 he and his wife sold their apartment in the Jordaan, De Vlamingh joined the VOC in 1688 and made his first voyage to Batavia in the same year. VOC officials believed it might have run aground on the west coast of Terra Australis, the expedition departed Texel stricly incognito on 3 May 1696 and, because of the Nine Years War with France, sailed around the coast of Scotland to Tristan de Cunha. Early September the three arrived at Cape of Good Hope, where they stayed for seven weeks because of scurvy among the crew. On 27 October they left, using the Brouwer Route on the Indian Ocean route from the African Cape of Good Hope to the Dutch East Indies, on their way east they checked Île Saint-Paul and Île Amsterdam, but no wreckage or survivors were found. On 5 December they sailed on, on 29 December 1696, de Vlaminghs party landed on Rottnest Island. He saw a giant jarrah, numerous quokkas, and thinking they were large rats he named the rats nest because of them. There is plentiful salt, and the coast is full of fish, birds make themselves heard with pleasant song in these scented groves. On 10 January 1697, he ventured up the Swan River and he and his crew are believed to have been the first Europeans to do so. They are assumed to be the first Europeans to see black swans, the crew split into three parties, hoping to catch an Aborigine, but about five days they gave up their quest to catch a South lander. On 22 January the sailed through the Geelvink Channel, the next days they saw ten naked, black people. The Critique of Pure Reason is a book by Immanuel Kant that is considered one of the most influential works in the history of philosophy. Also referred to as Kants First Critique, it was followed by the Critique of Practical Reason, knowledge independent of experience is referred to by Kant as a priori knowledge, while knowledge obtained through experience is termed a posteriori. According to Kant, a priori knowledge expresses necessary truths, statements which are necessarily true cannot be negated without becoming false. According to Kant, to say that a sentence is analytic is to say that what is stated in the predicate-concept of the sentence is contained in the subject-concept of that sentence. The example he provides is the sentence, All bodies are extended, Kant considered the judgment, All bodies are heavy synthetic, since I do not include in the concept of body in general the predicate weight. Synthetic judgments therefore add something to a concept, whereas analytic judgments only explain what is contained in the concept. The distinctive character of analytic judgments was therefore that they can be known to be simply by an analysis of the concepts contained in them—or. Prior to Kant, it was thought that all necessary truth had the character of being analytic, Kant argued that not all necessary truths are analytic, but that some of them are synthetic. Before Kant, it was held that truths of reason must be analytic. In either case, the judgment is analytic because it is ascertained by analyzing the subject. It was thought that all truths of reason, or necessary truths, are of this kind, If this were so, attempting to deny anything that could be known a priori would involve a contradiction. 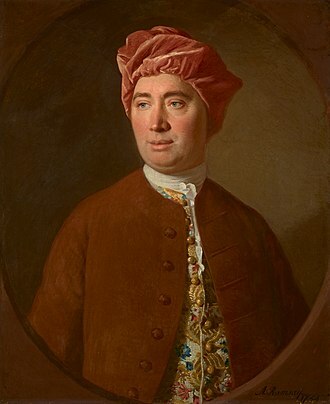 It was therefore thought that the law of contradiction is sufficient to establish all a priori knowledge, David Hume at first accepted the general view of rationalism about a priori knowledge. However, upon examination of the subject, Hume discovered that some judgments thought to be analytic, especially those related to cause. James Clerk Maxwell FRS FRSE was a Scottish scientist in the field of mathematical physics. 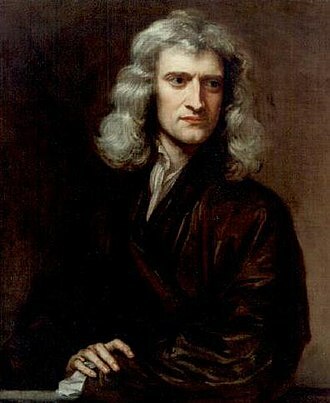 Maxwells equations for electromagnetism have been called the great unification in physics after the first one realised by Isaac Newton. With the publication of A Dynamical Theory of the Electromagnetic Field in 1865, Maxwell proposed that light is an undulation in the same medium that is the cause of electric and magnetic phenomena. The unification of light and electrical phenomena led to the prediction of the existence of radio waves, Maxwell helped develop the Maxwell–Boltzmann distribution, a statistical means of describing aspects of the kinetic theory of gases. He is known for presenting the first durable colour photograph in 1861 and his discoveries helped usher in the era of modern physics, laying the foundation for such fields as special relativity and quantum mechanics. Many physicists regard Maxwell as the 19th-century scientist having the greatest influence on 20th-century physics and his contributions to the science are considered by many to be of the same magnitude as those of Isaac Newton and Albert Einstein. In the millennium poll—a survey of the 100 most prominent physicists—Maxwell was voted the third greatest physicist of all time, behind only Newton and Einstein. On the centenary of Maxwells birthday, Einstein described Maxwells work as the most profound and the most fruitful that physics has experienced since the time of Newton. James Clerk Maxwell was born on 13 June 1831 at 14 India Street, Edinburgh, to John Clerk Maxwell of Middlebie, an advocate and his father was a man of comfortable means of the Clerk family of Penicuik, holders of the baronetcy of Clerk of Penicuik. 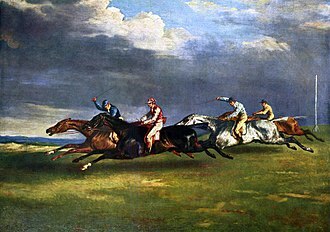 His fathers brother was the 6th Baronet, James was the first cousin of the artist Jemima Blackburn and cousin of the civil engineer William Dyce Cay. They were close friends and Cay acted as his best man when Maxwell married, Maxwells parents met and married when they were well into their thirties, his mother was nearly 40 when he was born. They had had one child, a daughter named Elizabeth. When Maxwell was young his family moved to Glenlair House, which his parents had built on the 1,500 acres Middlebie estate, all indications suggest that Maxwell had maintained an unquenchable curiosity from an early age. Immanuel Kant was a German philosopher who is considered a central figure in modern philosophy. Kant took himself to have effected a Copernican revolution in philosophy and his beliefs continue to have a major influence on contemporary philosophy, especially the fields of metaphysics, ethics, political theory, and aesthetics. 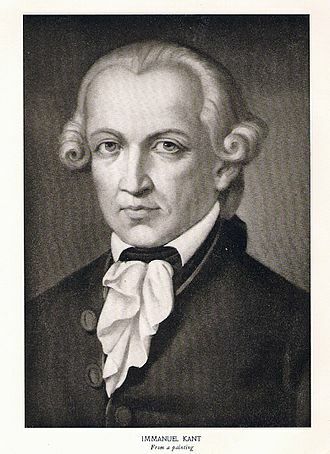 Politically, Kant was one of the earliest exponents of the idea that peace could be secured through universal democracy. He believed that this will be the outcome of universal history. Kant wanted to put an end to an era of futile and speculative theories of human experience, Kant argued that our experiences are structured by necessary features of our minds. In his view, the shapes and structures experience so that, on an abstract level. Among other things, Kant believed that the concepts of space and time are integral to all human experience, as are our concepts of cause, Kant published other important works on ethics, law, aesthetics and history. 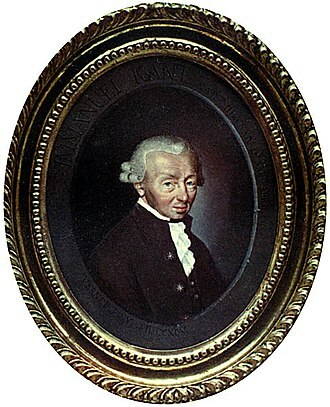 These included the Critique of Practical Reason, the Metaphysics of Morals, which dealt with ethics, and the Critique of Judgment, Immanuel Kant was born in 1724 in Königsberg, Prussia. His mother, Anna Regina Reuter, was born in Königsberg to a father from Nuremberg. 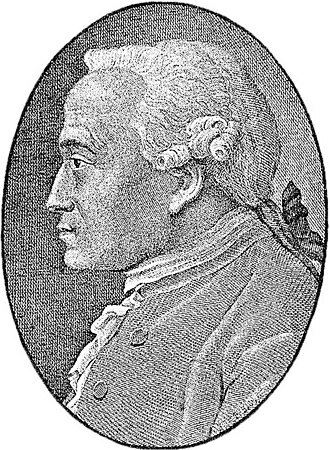 His father, Johann Georg Kant, was a German harness maker from Memel, Immanuel Kant believed that his paternal grandfather Hans Kant was of Scottish origin. Kant was the fourth of nine children, baptized Emanuel, he changed his name to Immanuel after learning Hebrew. Young Kant was a solid, albeit unspectacular, student and he was brought up in a Pietist household that stressed religious devotion, and a literal interpretation of the Bible. His education was strict and disciplinary, and focused on Latin and religious instruction over mathematics, despite his religious upbringing and maintaining a belief in God, Kant was skeptical of religion in life, various commentators have labelled him agnostic. Common myths about Kants personal mannerisms are listed and refuted in Goldthwaits introduction to his translation of Observations on the Feeling of the Beautiful and Sublime. It is often held that Kant lived a strict and disciplined life. Epistemology is the branch of philosophy concerned with the theory of knowledge. Epistemology studies the nature of knowledge and the rationality of belief, the term Epistemology was first used by Scottish philosopher James Frederick Ferrier in 1854. 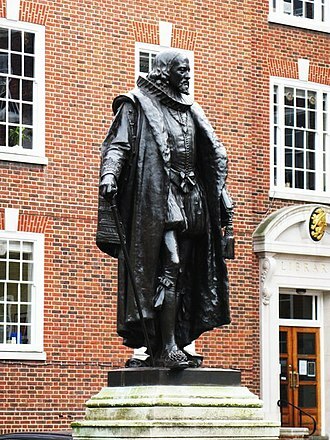 However, according to Brett Warren, King James VI of Scotland had previously personified this philosophical concept as the character Epistemon in 1591 and this philosophical approach signified a Philomath seeking to obtain greater knowledge through epistemology with the use of theology. The dialogue was used by King James to educate society on various concepts including the history, the word epistemology is derived from the ancient Greek epistēmē meaning knowledge and the suffix -logy, meaning a logical discourse to. J. F. Ferrier coined epistemology on the model of ontology, to designate that branch of philosophy which aims to discover the meaning of knowledge, and called it the true beginning of philosophy. The word is equivalent to the concept Wissenschaftslehre, which was used by German philosophers Johann Fichte, French philosophers gave the term épistémologie a narrower meaning as theory of knowledge. Émile Meyerson opened his Identity and Reality, written in 1908, in mathematics, it is known that 2 +2 =4, but there is knowing how to add two numbers, and knowing a person, thing, or activity. 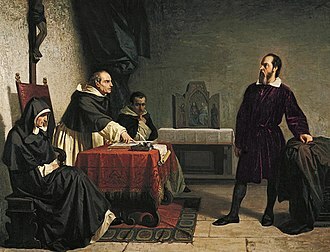 Some philosophers think there is an important distinction between knowing that, knowing how, and acquaintance-knowledge, with epistemology being primarily concerned with the first of these, while these distinctions are not explicit in English, they are defined explicitly in other languages. In French, Portuguese and Dutch to know is translated using connaître, conocer, modern Greek has the verbs γνωρίζω and ξέρω. Italian has the verbs conoscere and sapere and the nouns for knowledge are conoscenza and sapienza, German has the verbs wissen and kennen. The verb itself implies a process, you have to go from one state to another and this verb seems to be the most appropriate in terms of describing the episteme in one of the modern European languages, hence the German name Erkenntnistheorie. The theoretical interpretation and significance of linguistic issues remains controversial. In his paper On Denoting and his book Problems of Philosophy Bertrand Russell stressed the distinction between knowledge by description and knowledge by acquaintance, gilbert Ryle is credited with stressing the distinction between knowing how and knowing that in The Concept of Mind. This position is essentially Ryles, who argued that a failure to acknowledge the distinction between knowledge that and knowledge how leads to infinite regress and this includes the truth, and everything else we accept as true for ourselves from a cognitive point of view. Whether someones belief is true is not a prerequisite for belief, on the other hand, if something is actually known, it categorically cannot be false. It would not be accurate to say that he knew that the bridge was safe, because plainly it was not. By contrast, if the bridge actually supported his weight, he might say that he had believed that the bridge was safe, whereas now, after proving it to himself, epistemologists argue over whether belief is the proper truth-bearer. In physics, special relativity is the generally accepted and experimentally well-confirmed physical theory regarding the relationship between space and time. In Albert Einsteins original pedagogical treatment, it is based on two postulates, The laws of physics are invariant in all inertial systems, the speed of light in a vacuum is the same for all observers, regardless of the motion of the light source. It was originally proposed in 1905 by Albert Einstein in the paper On the Electrodynamics of Moving Bodies, as of today, special relativity is the most accurate model of motion at any speed. Even so, the Newtonian mechanics model is useful as an approximation at small velocities relative to the speed of light. Not until Einstein developed general relativity, to incorporate general frames of reference, a translation that has often been used is restricted relativity, special really means special case. 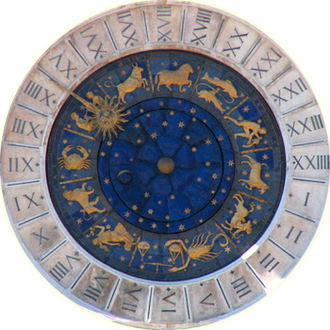 It has replaced the notion of an absolute universal time with the notion of a time that is dependent on reference frame. 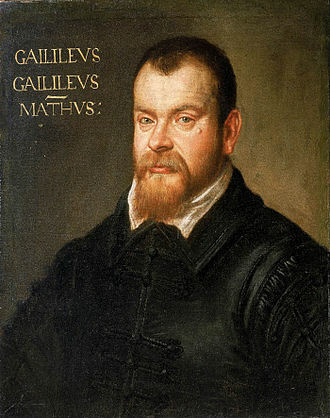 Rather than an invariant time interval between two events, there is an invariant spacetime interval, a defining feature of special relativity is the replacement of the Galilean transformations of Newtonian mechanics with the Lorentz transformations. Time and space cannot be defined separately from each other, rather space and time are interwoven into a single continuum known as spacetime. Events that occur at the time for one observer can occur at different times for another. The theory is special in that it applies in the special case where the curvature of spacetime due to gravity is negligible. In order to include gravity, Einstein formulated general relativity in 1915, Special relativity, contrary to some outdated descriptions, is capable of handling accelerations as well as accelerated frames of reference. e. At a sufficiently small scale and in conditions of free fall, a locally Lorentz-invariant frame that abides by special relativity can be defined at sufficiently small scales, even in curved spacetime. A hypothesis is a proposed explanation for a phenomenon. 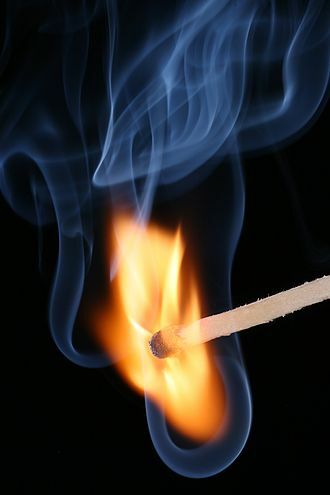 For a hypothesis to be a scientific hypothesis, the method requires that one can test it. Scientists generally base scientific hypotheses on previous observations that cannot satisfactorily be explained with the scientific theories. Even though the hypothesis and theory are often used synonymously. A working hypothesis is a provisionally accepted hypothesis proposed for further research, P is the assumption in a What If question. 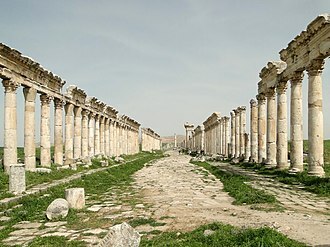 Remember, the way that you prove an implication is by assuming the hypothesis, --Philip Wadler In its ancient usage, hypothesis referred to a summary of the plot of a classical drama. 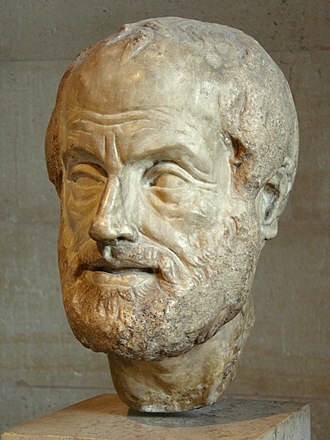 The English word hypothesis comes from the ancient Greek ὑπόθεσις word hupothesis, in Platos Meno, Socrates dissects virtue with a method used by mathematicians, that of investigating from a hypothesis. In this sense, hypothesis refers to an idea or to a convenient mathematical approach that simplifies cumbersome calculations. In common usage in the 21st century, a hypothesis refers to an idea whose merit requires evaluation. For proper evaluation, the framer of a hypothesis needs to define specifics in operational terms, a hypothesis requires more work by the researcher in order to either confirm or disprove it. In due course, a hypothesis may become part of a theory or occasionally may grow to become a theory itself. Normally, scientific hypotheses have the form of a mathematical model, in entrepreneurial science, a hypothesis is used to formulate provisional ideas within a business setting. The formulated hypothesis is evaluated where either the hypothesis is proven to be true or false through a verifiability- or falsifiability-oriented Experiment, any useful hypothesis will enable predictions by reasoning. It might predict the outcome of an experiment in a setting or the observation of a phenomenon in nature. The prediction may invoke statistics and only talk about probabilities, other philosophers of science have rejected the criterion of falsifiability or supplemented it with other criteria, such as verifiability or coherence. Sir Karl Raimund Popper CH FBA FRS was an Austrian-British philosopher and professor. He is generally regarded as one of the greatest philosophers of science of the 20th century, in political discourse, he is known for his vigorous defence of liberal democracy and the principles of social criticism that he came to believe made a flourishing open society possible. Karl Popper was born in Vienna in 1902, to upper middle-class parents, karls father Simon Siegmund Carl Popper was a lawyer from Bohemia and a doctor of law at the Vienna University, and mother Jenny Schiff was of Silesian and Hungarian descent. Karl Poppers uncle was the Austrian philosopher Josef Popper-Lynkeus and his father was a bibliophile who had 12, 000–14,000 volumes in his personal library and took an interest in philosophy, the classics, and social and political issues. Popper inherited both the library and the disposition from him, later, he would describe the atmosphere of his upbringing as having been decidedly bookish. Popper left school at the age of 16 and attended lectures in mathematics, philosophy, psychology, in 1919, Popper became attracted by Marxism and subsequently joined the Association of Socialist School Students. He became a member of the Social Democratic Workers Party of Austria and he worked in street construction for a short amount of time, but was unable to cope with the heavy labour. Continuing to attend university as a guest student, he started an apprenticeship as cabinetmaker and he was dreaming at that time of starting a daycare facility for children, for which he assumed the ability to make furniture might be useful. After that he did service in one of psychoanalyst Alfred Adlers clinics for children. In 1922, he did his matura by way of a second chance education and he completed his examination as an elementary teacher in 1924 and started working at an after-school care club for socially endangered children. In 1925, he went to the newly founded Pädagogisches Institut and continued studying philosophy, around that time he started courting Josefine Anna Henninger, who became his wife. Falsifiability or refutability of a statement, hypothesis, or theory is the inherent possibility that it can be proven false. A statement is called if it is possible to conceive of an observation or an argument which negates the statement in question. In this sense, falsify is synonymous with nullify, meaning to invalidate or shown to be false, the term falsifiability is sometimes synonymous to testability. Some statements, such as It will be raining here in one years, are falsifiable in principle. 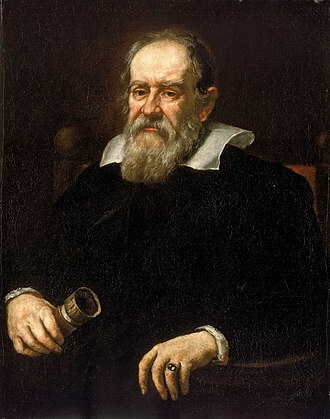 The concern with falsifiability gained attention by way of philosopher of science Karl Poppers scientific epistemology falsificationism, the classical view of the philosophy of science is that it is the goal of science to prove hypotheses like All swans are white or to induce them from observational data. Popper argued that this would require the inference of a rule from a number of individual cases. However, if one finds one single swan that is not white, Falsificationism thus strives for questioning, for falsification, of hypotheses instead of proving them. For a statement to be questioned using observation, it needs to be at least theoretically possible that it can come into conflict with observation. A key observation of falsificationism is thus that a criterion of demarcation is needed to distinguish those statements that can come into conflict with observation, Popper chose falsifiability as the name of this criterion. My proposal is based upon an asymmetry between verifiability and falsifiability, an asymmetry which results from the form of universal statements. For these are never derivable from singular statements, but can be contradicted by singular statements, Popper stressed that unfalsifiable statements are important in science. Contrary to intuition, unfalsifiable statements can be embedded in —, for example, while all men are mortal is unfalsifiable, it is a logical consequence of the falsifiable theory that every man dies before he reaches the age of 150 years. Similarly, the ancient metaphysical and unfalsifiable idea of the existence of atoms has led to corresponding falsifiable modern theories, Popper invented the notion of metaphysical research programs to name such unfalsifiable ideas. 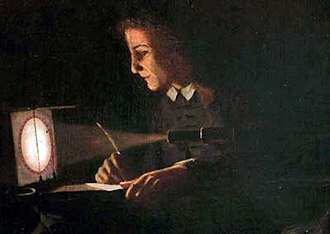 In the late 19th century, luminiferous aether, aether, or ether, meaning light-bearing aether, was the postulated medium for the propagation of light. 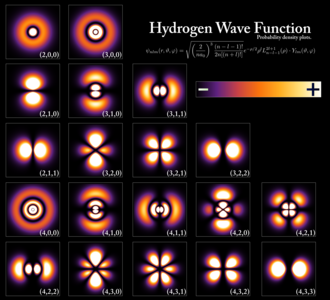 It was invoked to explain the ability of the apparently wave-based light to propagate through empty space, the assumption of a spatial plenum of luminiferous aether, rather than a spatial vacuum, provided the theoretical medium that was required by wave theories of light. The concept was the topic of debate throughout its history, as it required the existence of an invisible. As the nature of light was explored, especially in the 19th century, by the late 1800s, the existence of the aether was being questioned, although there was no physical theory to replace it. The negative outcome of the Michelson–Morley experiment suggested that the aether was non-existent and this led to considerable theoretical work to explain the propagation of light without an aether. 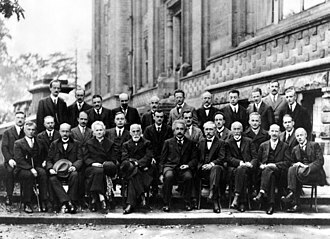 A major breakthrough was the theory of relativity, which could explain why the experiment failed to see aether, isaac Newton contended that light was made up of numerous small particles. This could explain such features as lights ability to travel in straight lines and this theory was known to have its problems, although it explained reflection well, its explanation of refraction and diffraction was less satisfactory. The modern understanding is that radiation is, like light. However, Newton viewed heat and light as two different phenomena and he believed heat vibrations to be excited when a Ray of Light falls upon the Surface of any pellucid Body. 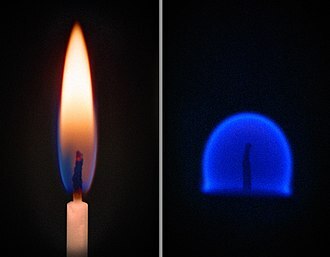 Before Newton, Christiaan Huygens had hypothesized that light was a wave propagating through an aether, Newton rejected this idea, mainly on the ground that both men apparently could only envision light as a longitudinal wave, like sound and other mechanical waves in fluids. However, longitudinal waves necessarily have one form for a given propagation direction. 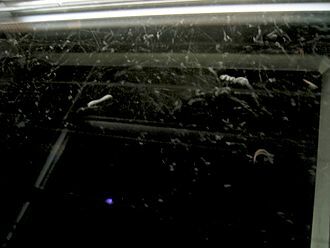 Thus, longitudinal waves could not explain birefringence, in which two polarizations of light are refracted differently by a crystal, Newton preferred to imagine non-spherical particles, or corpuscles, of light with different sides that give rise to birefringence. Willem de Vlamingh's ships, with black swans, at the entrance to the Swan River, Western Australia, coloured engraving (1796), derived from an earlier drawing (now lost) from the de Vlamingh expeditions of 1696–97. Seen through a telescope, the Einstein cross seems to provide evidence for five different objects, but this observation is theory-laden. If we assume the theory of general relativity, the image only provides evidence for two objects. 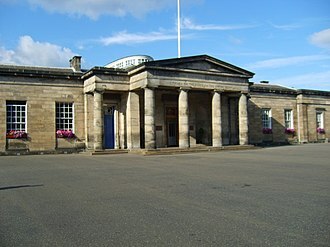 Edinburgh Academy, where Maxwell was educated. Commemoration of Maxwell's equations at King's College. One of three identical IEEE Milestone Plaques, the others being at Maxwell's birthplace in Edinburgh and the family home at Glenlair. Figure 5-5. Galaxy M87 streams out a black-hole-powered jet of electrons and other sub-atomic particles traveling at nearly the speed of light. Usually inferred from repeated observations: "The sun always rises in the east." Usually not inferred from repeated observations: "If someone dies, it's never me." Nicole Oresme, a prominent medieval scholar. Duhem came to regard the medieval scholastic tradition as the origin of modern science. Figure 1. Michelson and Morley's interferometric setup, mounted on a stone slab that floats in an annular trough of mercury. 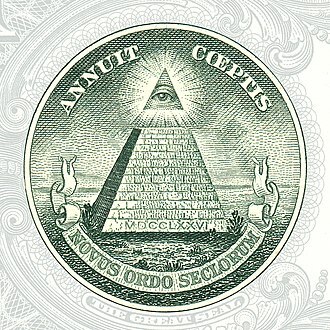 The Eye of Providence, or the all-seeing eye of God, seen here on the US$1 bill, has been taken by some to be evidence of a conspiracy involving the founders of the United States and the Illuminati. If someone wants to believe in leprechauns, they can avoid ever being proven wrong by using ad hoc hypotheses (e.g., by adding "they are invisible", then "their motives are complex", and so on).